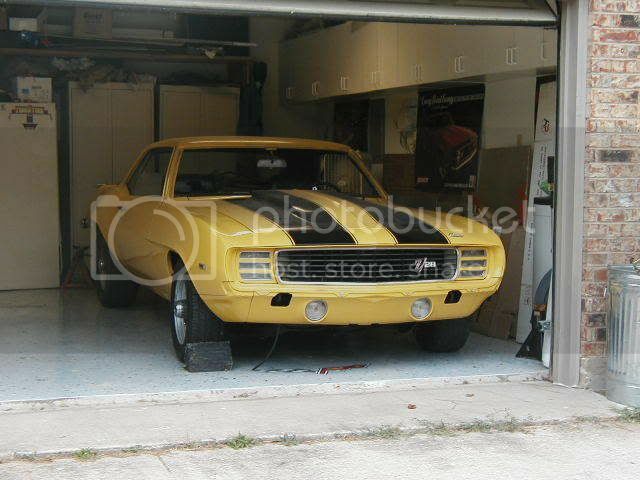 I have the Muncie out of my 69 and was searching here and Team Camaro to find what bolts are correct for the Muncie trans, please if you have any pictures or information on any 67-69 Muncie's please share the information. I know my side cover bolts are incorrect, I am just trying to make it closer to day 1- thanks all! seems pretty unusual to me to have *incorrect* side cover bolts...? Are you sure they are incorrect? Did you piece the trans together from parts? unusual? when I built this trans 15 years ago they were mis matched then so I installed grade 8 bolts that i know are incorrect - how unusual is that? Most 69 Z28 trans have "SBC" on the 3 upper tailhousing and 2 shorter tailhousing bolts, and usually "TR" or L5 on the longer singular tailhousing bolt. Either "SBC" or "TR" side cover bolts. Earlier cars pre Jan/69 seem to use the "TR", later cars use "SBC"
I have also seen "RBW" tailhousing bolts. BTW, lots of trans have mismatched bolts, I dont think the Muncie plant cared, the workers used what ever was in the bin. GM did use different suppliers. FWIW. My side cover bolts are sbc. I also recall seeing an L.
Kurt IIRC I've seen a few later 69 built cars with L side cover bolts. Not sure there is a correlation to build date but they were certainly used. Steve, I personally have never seen "L" bolts on camaros, but lots of 64,65 Corvettes/Chevelles etc. with the "325" case., not to say it didnt happen.